1980 to 1981 - ARCHITECTURAL ARTISANS: prominent as 1 of only 2 firms existing in the USA skilled to restore the 1874 ceilings & friezes for the California State Capitol $68MM restoration project. Charcol rubbings made from fragments of the original "parget" ornamentation (photo: lower left) were interpreted as a first step in the restoration process. 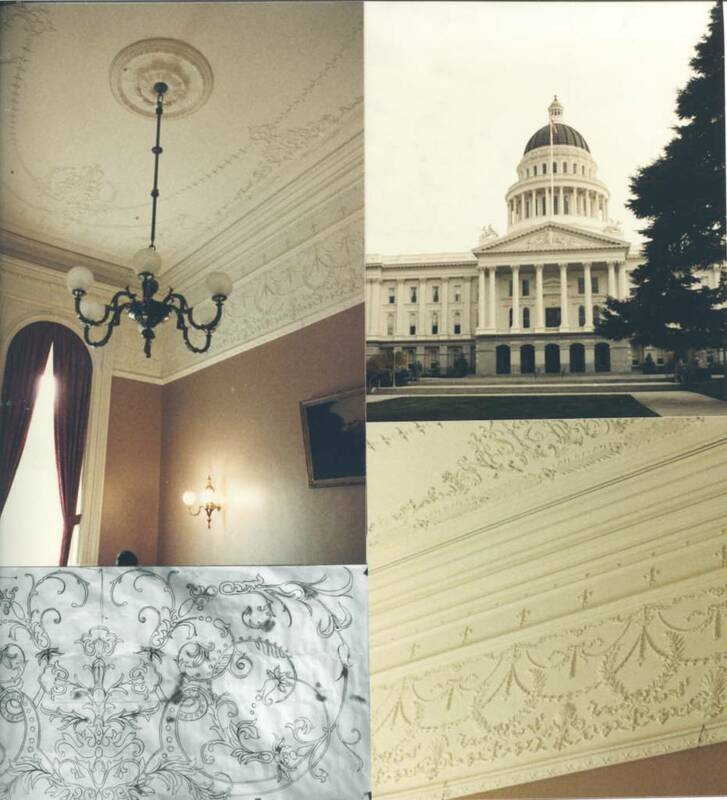 Our skilled artificers carefully reproduced every graceful detail until an historically accurate 3 foot wide frieze (photo: lower right) was completed . . . repeating this process for each of the unique 19 rooms involved in this phase of the restoration of the California State Capitol in Sacramento, CA.